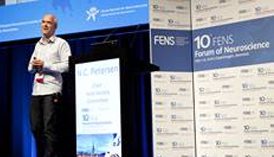 Students and young investigators registered for the FENS Forum 2018 are eligible to apply for a €750 travel grant, jointly awarded by FENS and IBRO/PERC. Apply for the grant online when you register for FENS 2018. German neuroscience PIs invite young investigators from abroad for a 2–3 week stay in their lab. Don't miss the opportunity to apply for the Young Investigator Training Programme. 45 Young guest researchers will participate in this summer research programme in 27 German laboratories. More travel grant opportunities are offered online by several FENS member societies and the Society for Neuroscience. 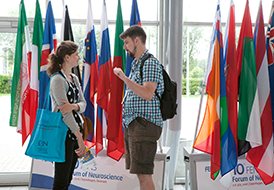 There is a month left to take the opportunity to present your latest research and findings on an international platform with world-renowned Neuroscience professionals. Choose your theme and submit your abstract today. Why Wait to Save? Register Now! Register for the Forum before the 13 February 2018 deadline to save up to €170 on the registration fee which includes full access to the exciting scientific programme, invitation to the opening ceremony and access to the networking events.